1Gross Receipts/Sales Tax may apply to fees and charges. 2A fee may overdraw an account, resulting in additional charges. 3Overdrafts may be created by check, in person withdrawal, ATM withdrawal, or other electronic means. NOTE: These rates are subject to change. Please contact one of our friendly New Accounts Representatives at (505) 425-7584 with any questions you may have. 2A fee may overdraw an account, resulting in additional charges. Fees could reduce earnings on the account. 3Rate may change after the account is opened. 2Service charge fees apply during a monthly statement cycle if the average daily balance falls below listed balance. 3Tax will be charged on all service charge fees. A fee may overdraw an account, resulting in additional charges. 2During a month from the 3rd to the 3rd an average daily balance of $100.01 is required to avoid monthly service charges. 3Tax will be charged on service charge fees. A fee may overdraw an account, resulting in additional charges. 4Rate may change after the account is opened. 5You may make six (6) transfers from your account each four (4) week or similar period, if by preauthorized or automatic transfer, or telephone (including data transmission) agreement, order or instruction or by check, draft, debit card or similar order (including POS transactions), made by the depositor and payable to third parties. Transfers and withdrawals made in person, by messenger, by mail or at an ATM are unlimited. • Limited to 6 transfers/debits per statement cycle or four-week period. NOTE: These rates are subject to change. Please contact one of our friendly New Accounts Representatives at (505) 425-7584 or toll free at 1-888-425-7584 with any questions you may have. 1A fee may reduce earnings on account and rates may change after account opening on variable rate accounts. 1Tax will be charged on all service charge fees. A fee may overdraw an account, resulting in additional charges. 2Rate may change after the account is opened. 3You may make six (6) transfers from your account each four (4) week or similar period, if by preauthorized or automatic transfer, or telephone (including data transmission) agreement, order or instruction or by check, draft, debit card or similar order (including POS transactions), made by the depositor and payable to third parties. Transfers and withdrawals made in person, by messenger, by mail or at an ATM are unlimited. 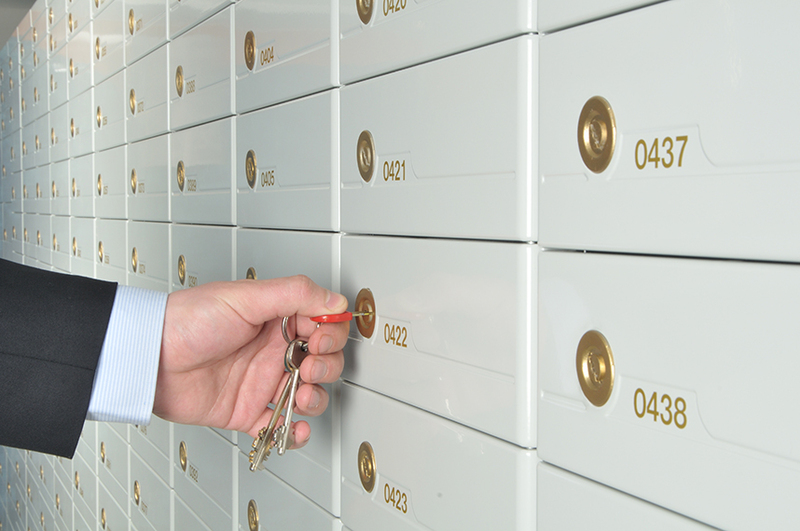 We have Safe Deposit Boxes available to safeguard your valuables. Rent for boxes is due January 31st, of each year. • A $2.00 late fee will be incurred at 30 days past due. • A $10.00 late fee will be incurred at 60 days past due. • A $25.00 late fee will be incurred at 90 days past due. Contents inside of Safe Deposit Boxes are not FDIC insured. If a box is not paid for 5 years, the box will be drilled and the contents will be sent to the State of New Mexico as abandoned property. If you lose both keys to the safe deposit box there will be a $100.00 drill fee if an appointment is set. If it is an emergency drill, the fee for the drill will be $175.00. A one-time $20.00 key deposit will be applied when opening the box. You will be issued two keys. The deposit will be refunded if both keys are returned when surrendering the box. Call the Fraud Department at: 1-800-889-5280, or stop by one of our locations and speak with a New Accounts Representative. All rates are calculated using a daily balance method to calculate interest during a month from the day of opening on all accounts. Start saving today! All CD rates are shown with their Annual Percentage Yield (APY). Simply determine the term and amount you would like to deposit. Save for your retirement! Simply determine the term and amount you would like to deposit. You can deposit any amount at any time. Fees could reduce earnings on the account. A penalty may be imposed for early withdrawal. NOTE: These rates are subject to change. Please contact one of our friendly New Accounts Representatives at (505) 425-7584 with any questions you may have. All rates effective as of February 7, 2018.